Could This Be The End Of Fannie Mae and Freddie Mac? Senate committee drafts proposal to wind down Federal mortgage institutions in five years. Many people don’t understand Fannie Mae and Freddie Mac, and in some cases, they might even think they are the two people who run the FHA (They aren’t!). Fannie Mae refers to the Federal National Mortgage Association, while Freddie Mac stands for Federal Home Loan Mortgage Corporation. 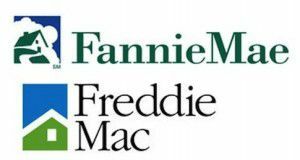 But what do Fannie Mae and Freddie Mac actually do? By 2008 both Fannie Mae and Freddie Mac were deep in debt as a result of years’ worth of bad loans and securities that helped to topple the real estate industry. The Federal Government (With the help of taxpayers) bailed these industries out to the tune of $187.5 billion. Fortunately, these entities have recovered and will have made $202.9 billion. What about the proposed Fannie and Freddie wind down? Situations like this obviously cause the ire of many Americans and politicians alike, thus S.1217 was given life by a bipartisan Senate committee. If passed, it would overhaul the government’s role in the mortgage market by replacing Fannie Mae and Freddie Mac with a government-backed mortgage bond insurer. The plan would mean that the private financial market would absorb up to 10% of any losses before the mortgage bond insurance would kick in, which has the potential of raising mortgage fees and disrupt future real estate growth and recovery. The wind down of Fannie Mae and Freddie Mac would take place with a gradual five year phase out. When will this Fannie and Freddie wind down happen? It may not happen at all. The proposal is still in committee, and has not been scheduled for a vote any time soon. While many of our nation’s federally elected officials may agree that a financial overhaul is needed, there still may be stiff opposition at such a plan that could affect continuing real estate recovery. We’ll keep you posted as things develop.